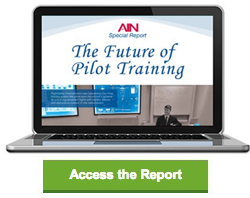 AIN has recently produced a report, The Future of Pilot Training. It’s a thorough report (17 pages), and a great read. An even lower-cost solution is available from Apple iPad developer CloudAhoy. […] The debrief view shows graphical views of each maneuver performed, as well as overlays of charting information such as IFR approaches, making deviations easy to spot.